The orb-webs down the path were having a busy night tonight. There were lots of these little brown bugs in the webs. 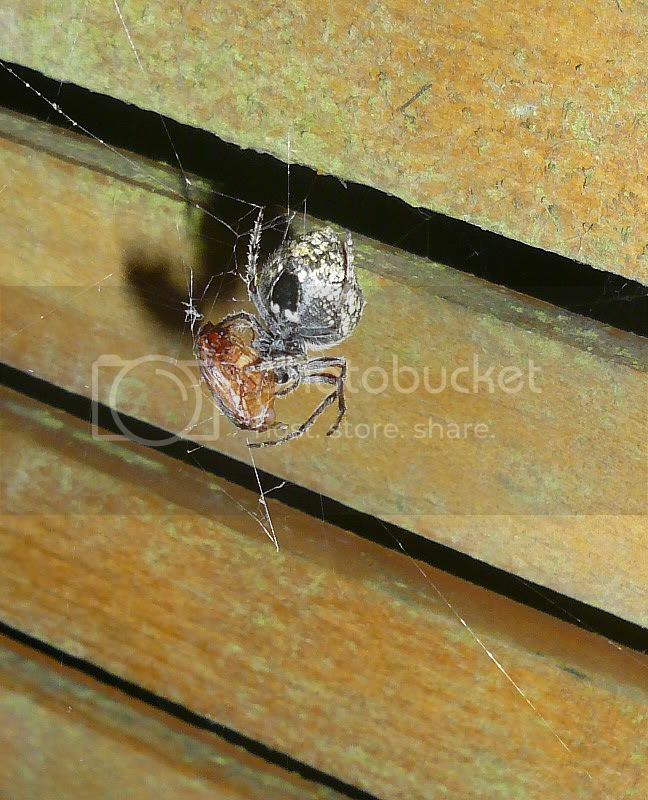 For an idea of scale, the spider's abdomen is probably about 8mm in diameter. Not too terrible for an on-camera flash in the middle of the night. Excellent image quality. Well done. Wow... really nice... any ideas what kind of spider that is? It's an orb web spider of some sort - I'm not sure exactly.